Uses 60% Less water than our competitors. Save big $$$ on your water bill! Stop wasting money and water on traditional irrigation. Irrigation & Water Technologies is an Australian company that manufactures and markets the world’s current best-practice irrigation systems for commercial, agricultural and domestic applications. The IWT KISSS technology is winning plaudits world-wide as it is deployed to save water, irrigate more effectively, and to deliver a range of benefits that go way beyond conventional irrigation systems. 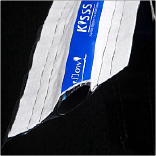 KISSS is a new generation sub-surface textile irrigation system that provides greater control over root- zone conditions. KISSS is the only irrigation system designed specifically for use underground. The patented design ensures water is delivered uniformly to the soil at a rate that is consistent with the capillary absorption rate of the soil. We’ve now made this technology available for residential use so you can have commercial grade irrigation and water technology in your home. Irrigation & Water Technologies is an Australian company that manufactures and markets the world's current best-practice irrigation systems for commercial, agricultural and domestic applications. KISSS - KISSS is a new generation sub-surface textile irrigation system that provides greater control over root- zone conditions. 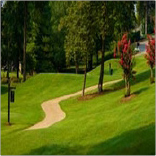 KISSS is the only irrigation system designed specifically for use underground. The patented design ensures water is delivered uniformly to the soil at a rate that is consistent with the capillary absorption rate of the soil. Intellectual Ventures (IV®) and Irrigation Water Technologies (IWT) announced today that the companies have entered into a new partnership agreement to commercialize IWT's revolutionary irrigation technology system. As a result of the agreement, IWT will leverage IV's global network to develop licensing opportunities and partnerships. Avondale Golf Club in Sydney installed KISSS Wrap in their new sand bunkers. David Warwick( Superintendent ) purchased KISS Wrap for several bunkers from our reseller Watermatic Irrigation ,at Hornsby, with support from Sheldon Were and installed KISSS around the edge of the new bunkers to keep the sand moist to stop it from collapsing . David said " we used a couple of other drip products but KISSS is the only one that produced an even wetting pattern without drip stripes and kept the face moist .